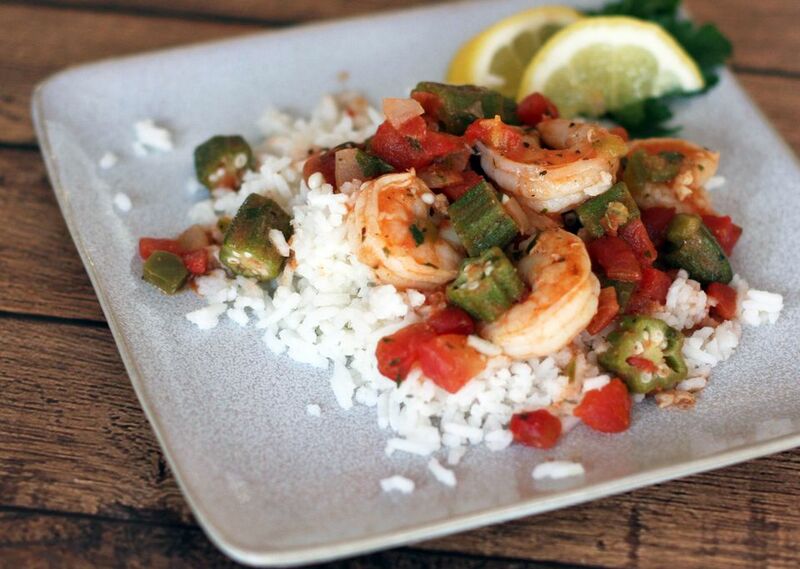 This combination of okra, shrimp, and tomatoes tastes great over freshly cooked rice. It's a wonderful way to enjoy fresh okra. Heat the oil and butter in a large skillet until the butter is melted. Add the onion and bell pepper; toss to coat evenly. Stir in the okra and cook over medium heat until the onion is translucent. Add the tomatoes, wine, lemon juice, parsley, and Creole seasonings. Simmer, stirring occasionally, until the tomatoes soften. Taste and add salt and pepper, as needed. Add the shrimp and continue cooking for 3 to 4 minutes, or until the shrimp turns pink and opaque.